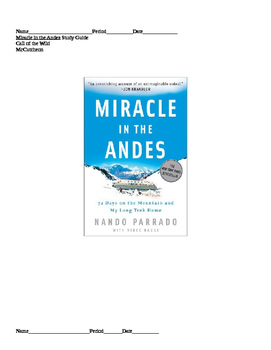 135 question chapter by chapter study guide for the book, Miracle in the Andes by Nando Parrado. This is perfect for homework, classwork, or sending home for home instruction. 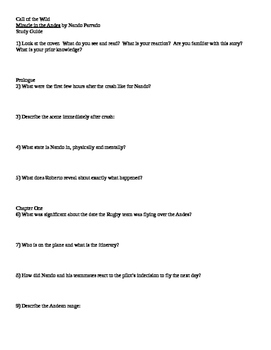 Detailed questions highlight plot development, characterization, and themes central to this work of non-fiction. Answer Key included! 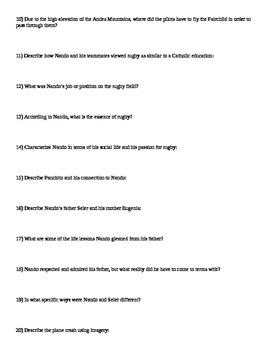 Have students answer questions using textual evidence to tie to the common core.